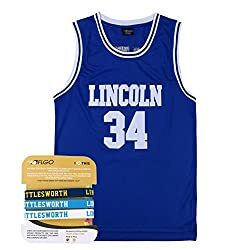 #34 jesus Shuttlesworth Lincoln Jersey brings back memories of 1990's pop culture. We're even adding in wristbands to complete your 90's outfit. 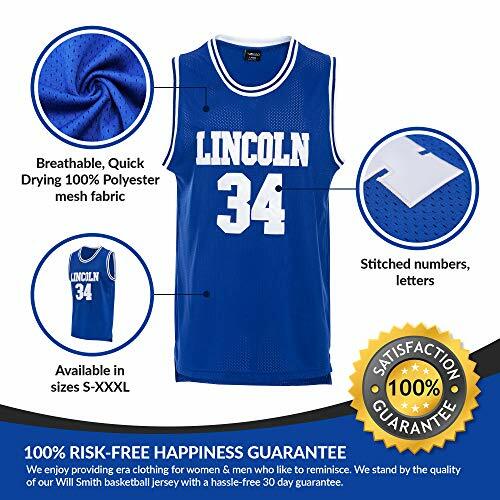 quality stitching, the Jesus Shuttlesworth 34 Blue Lincoln He Got Game jersey delivers ultimate all day comfort you can count on. Dress it up or dress it down! the letter & numbers stay put. They don't peel, lift or unstick. Never worry about washing. 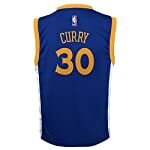 This here jersey is the real deal. Dressing for a He Got Game party? No Jesus Shuttlesworth costume is complete without some sporty wrist accessories. 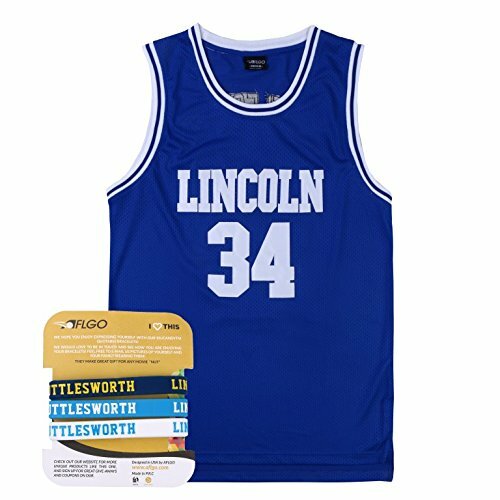 As a bonus, each Will Smith jersey includes a FREE set of Lincoln #34 Shuttlesworth wristbands. 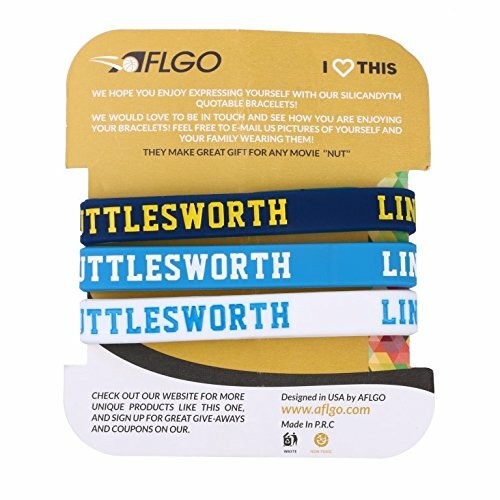 They stretch to fit MOST wrist sizes! 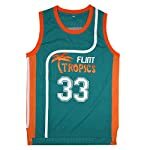 You'll be THE coolest kid on the block when you step out wearing flint tropics clothing from our throwback Jesus Shuttlesworth 34 Blue Lincoln Collection. 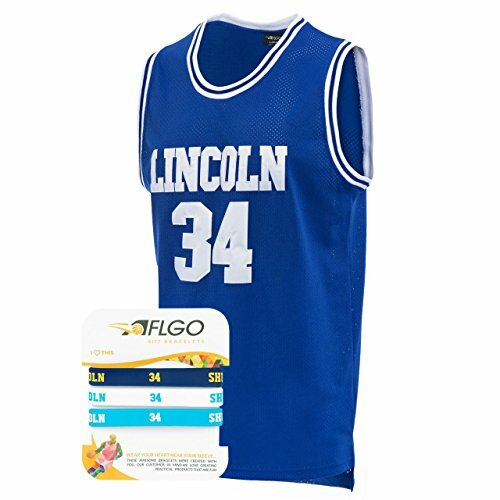 AFLGO Jesus Shuttlesworth 34 Blue Lincoln clothes embody the essence of 90's hip hop fashion. Keep it simple or pair the set with other Flint tropics gear. Available in sizes S-XXL, our retro 90's fashion can be worn by kids, men & women. A perfect choice for 90's themed family photos. Are you a 90's kid obsessed with nostalgia? 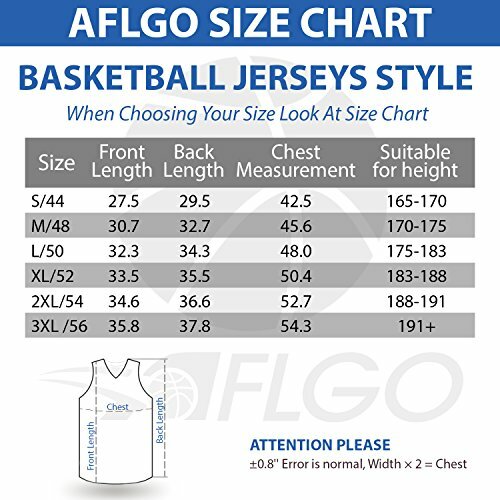 Our Jersey with wristbands is a great pick. Order your outfit now!